Petwood Caravan Park is set in the heart of the beautiful Lincolnshire village of Woodhall Spa. The village is just a five minute walk from the site and has a variety of excellent restaurants and shops. 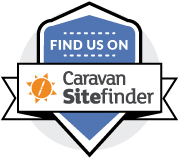 Please have a look around our website and read some of our reviews on ukcampsite.co.uk. * Camping and Caravanning Club discount - £2 per night, low season only, not available with any other offer. Our spacious, level pitches can accommodate all types of units and there is no additional charge for putting up an awning. There are two modern, heated amenity blocks, each providing toilets, wash basins, spacious showers, washing up and laundry rooms as well as facilities for disabled guests. There is also a shop on site providing basic essentials. 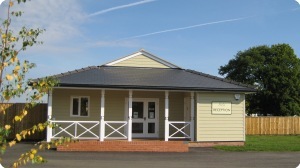 Holidays or weekend breaks are for relaxing and enjoying yourself and with that in mind we can offer you a tranquil rural setting in harmony with nature, but with the added advantage of being within easy walking distance of Woodhall Spa and a number of recreational activities. To ensure your stay is a pleasant one, we ask that you respect your neighbours and follow the Site Policies; if you have an issue with any of our site policies, maybe we are not the site for you. Why not book now to stay at our superb award winning site!